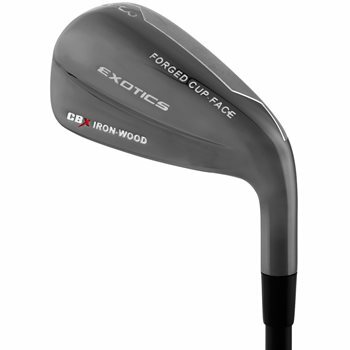 The Tour Edge Exotics CBX Iron-Wood is for players who want hybrid performance combined with the feel and workability of a traditional forged iron design. The CBX has a hollow iron design that utilizes a ground-breaking new L-cup face forged from HT980 steel. The combination of the L-cup technology and powerful steel material delivers the USGA maximum-allowed CT for the first hollow-style iron to achieve the maximum rebound benchmark.